Photographer: Blommers+Schumm. Model(s): Lily McMenamy. Source: Dazed & Confused. Stylist: Robbie Spencer. 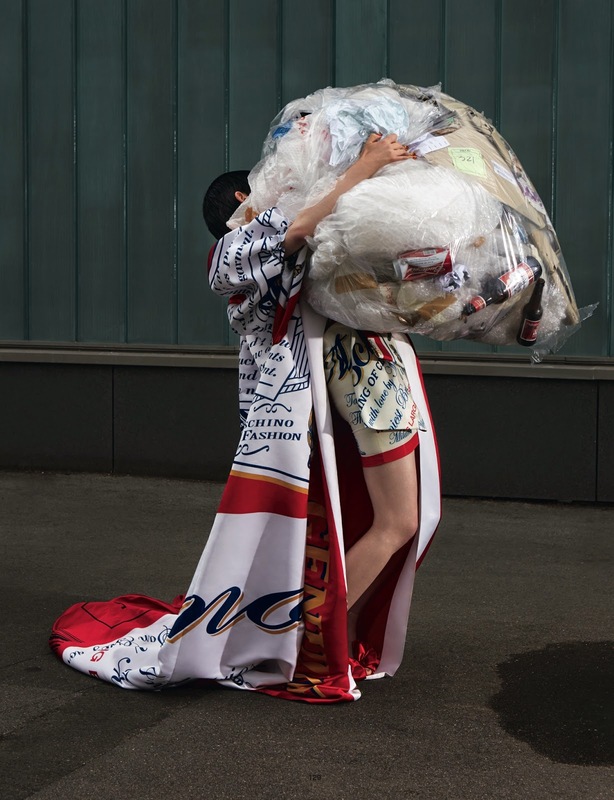 Lily McMenamy gets our attention in ‘Supersize Me’ by Blommers+Schumm for Dazed & Confused, Fall 2014. Designer, Jeremy Scott, takes a bite out of the American culture by celebrating his new position as designer for Moschino. 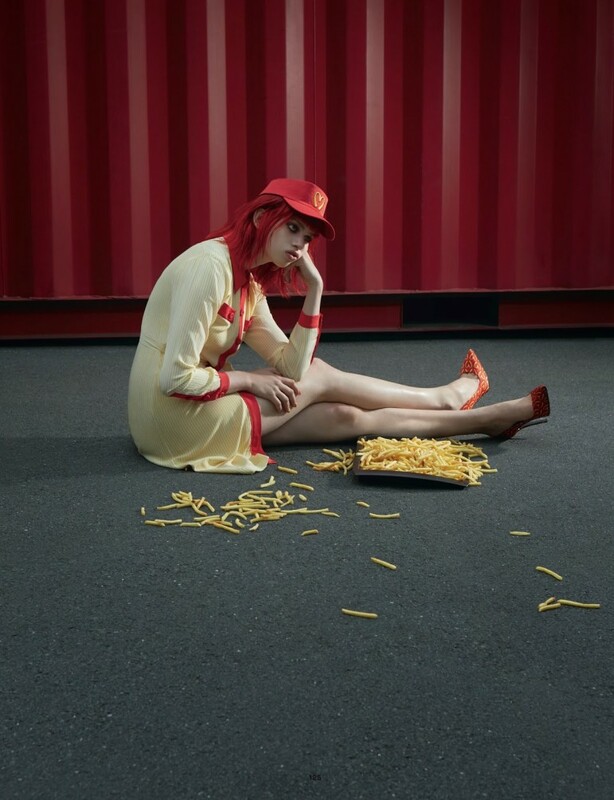 Exploring our connection to ‘Fast Food,’ this avant-garde artist savors the surreal heights of modernity with this –Junk Food- inspired collection. The ‘Golden Arches’ never looked so chic, as (Stylist) Robbie Spencer shows us that true artistry exists in emblematic fashion. Daring to expose our obsession with all things driven by pop-culture, this brave creator proudly touted a brand he referred to as ‘Fauxmania.’ Lily captures the searing beauty of satire with a captivating combination of smokey eyes and a soft mouth. The art of Americanism comes to play in this eclectic editorial designed to ignite the fire-red passion of free-will. A picture speaks a thousand words as Scott honors the country by restyling symbols such as, McDonald’s & Budweiser, into iconic haute-couture.